Today’s article is the eighth in a series of articles (1st Steve Jobs, 2nd Michael Dell, 3rd Warren Buffet, 4th Bill Gates, 5th Larry Ellison, 6th Eric Schmidt, 7th CIOs and the ideal management style), analysing current and past leaders to ascertain how Chief Information Officer’s (CIOs) can learn better management by applying the management practices of leadership, practiced by these leaders. I don’t usually read a book and write about it but I really liked Louis Gerstner’s (LG) very own style of writing and the way that he turned around IBM. In 1993, IBM was losing market share and perhaps on the verge of bankruptcy. Louis Gerstner accepted the job and walked into this situation without really knowing whether he could revive IBM to its glory days. This series is about leadership and this is the first time I am moving away from offering my thoughts on how CIOs (and others) can apply these leadership practices within their own businesses. The main reasoning is that, I will from now on leave it to my readers to apply what they have learnt from my blog posts. I am increasingly conscious that my readership now envelops many disparate disciplines and I am grateful for that. It has always been my intention that I disseminate my knowledge to others who may benefit as well. After all, knowledge taken to the grave is knowledge lost! For the full version, please read the book, Who says Elephants can’t dance – Inside IBM’s historic turnaround by Louis V Gerstner. I am also grateful to Harper Collins as I have used excerpts from the book itself. i. Eliminate bureaucracy by decentralising wherever possible while ensuring the right balance with central strategy and common customer focus. ii. Benchmarking costs against those of competitors and then achieving best in class status. v. About morale, he said, “I want can-do people looking for short term victories and long term excitement.” He also told the audience that it would be his priority to utilise internal talent rather than bringing in outsiders. 2. How did he want to run IBM? LG -. “I manage by principle, not procedure. The marketplace dictates everything we should do. I’m a big believer in quality, strong competitive strategies and plans, teamwork, payoff for performance and ethical responsibility. I look for people who look to solve problems and help colleagues. I am heavily involved in strategy; the rest is yours to implement. Just keep me informed in an informal way. Don’t hide bad information – I hate surprises. Don’t try to blow things by me. Solve problems laterally; don’t keep bringing them up the line. Move fast. If we make mistakes, let them be because we are too fast rather than too slow. Hierarchy means very little to me. Let’s put together in meetings the people who can help solve the problem, regardless of position. Reduce committees and meetings to a minimum. No committee decision making. Let’s have lots of candid, straightforward communications. I. Stop the bleeding of cash as IBM is running out of money. II. Ensure that IBM is profitable by 1994 (LG joined IBM in April 1993). III. Develop and implement a customer strategy for the next two years (93,94) that indicated to the customers that IBM had returned and was there to serve them. IV. Complete the ‘right sizing’ of IBM. V. Create ‘an intermediate-term business strategy. I. IBM priorities would be redefined, starting with the customer. II. 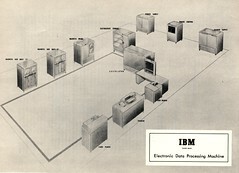 IBM laboratories would be allowed to do what they wanted to do and would deliver open, distributed, user based solutions. III. IBM would be easier to work with, would recommit to quality and re-establish its leadership position. IV. IBM would work for the customer and deliver the performance the customer wanted. All of IBM would stay together as one company and not converted into autonomous units. IBM economic model would be altered, such as expenses as IBM were spending 42 cents to produce $1 of revenue while its competitors were spending only 32 cents..
Business re-engineering would be undertaken. For example processes and systems would be reviewed as internally IBM had 128 CIOs! Underproductive assets would be sold to generate much needed cash. 7. Rating of employees’ performance: – In the past, I have reviewed many CEO’s management style but Eric Schmidt’s and Louis Gerstner’s style is the closest fit to Deming’s ‘Annual rate of performance’ that I have yet come across. Excellence in everything we do. – This became an obsession with perfection. The culture that developed threatened to halt IBM due to checks, approvals and validation meant that decision making just ground to a halt. Superior customer service.- This translated into “servicing IBM machines on customers’ premises”, and as a result the customer’s real needs were usually not entertained. Respect for the individual. – This meant that employees expected their entitlements regardless of performance. This meant that in many instances the best people were not getting what they deserved. LG outlined eight principles that were to envelop the business strategy and underpinned the new IBM culture. 1) The marketplace is the driving force behind everything that we do. 2) At our core, we are a technology company with an overriding commitment to quality. 3) Our primary measures of success are customer satisfaction and shareholder value. 4) We operate as an entrepreneurial organisation with a minimum of bureaucracy and a never-ending focus on productivity. 5) We never lose sight of our strategic vision. 6) We think and act with a sense of urgency. 7) Outstanding, dedicated people make it all happen, particularly when they work together as a team. 8) We are sensitive to the needs of all employees and to the communities in which we operate. Today’s article is the seventh in a series of articles (1st Steve Jobs, 2nd Michael Dell, 3rd Warren Buffet, 4th Bill Gates, 5th Larry Ellison, 6th Eric Schmidt), analysing current and past leaders to ascertain how Chief Information Officer’s (CIOs) can learn better management by applying the management practices of leadership, practiced by these leaders. These blogposts have been informational for me and my readers and I have certainly learnt a lot from all the different management styles of these ‘new age’ leaders. It was fascinating to read that while they all had common aspects, they were also very different indeed. As a result of these blogposts, books that I read, academic and vocational qualifications and my own experience, I decided to outline my thoughts on the qualities that are needed to become a successful CIO. There is a general assumption within IT that a CIO’s career starts once the interview process is over. This is one of the worst assumptions to be made by a prospective CIO. The aspiring CIO needs to understand the prospective organisation that he/she wants to work with and ensure that it is a good fit for his/hers skills and that the ‘culture’ of the organisation supports change and is quite open to ‘challenging the status quo.’ I would suggest that the CIO has done his/her research on the organisation prior to the interview to establish that it is an organisation that they want to work with and assist to achieve the business benefits that the organisation perceives will be achieved once the CIO joins. The CIO MUST ask the right questions at the interview and ensure that there is indeed a ‘strategic fit’ for both the CIO and the employing organisation. Read the job specification well and look for indicators that may lead to problems or that highlight that ‘strategic fit.’ Try and define (fine tune) the role to establish, for example, How will IT success be defined and measured? As soon as you join/start an organisation as a CIO, make a list of strengths and weaknesses of yourself and your organisation on a piece of paper as that will enable you to plan effectively and to ‘hit’ the problem areas first. Go into the job well prepared, as by that stage, you had ample opportunity to look at the job specification, research the organisation and the interview gave you ‘key’ information to utilise. Start building your credibility by establishing some areas for ‘quick wins’ and be careful to strike a fine balance between ‘moving too fast or slow.’ For example, trying to impress your boss by moving too quickly to make something happen that results in an awkward explanation to him/her has to be avoided at all cost. Take decisive action, as moving slow can also adversely affect your credibility. Listen, learn and communicate. As soon as you are comfortable, conduct a business/IT review. I am not going to give this consideration as a separate bullet point because I believe that it has to be done by establishing relationships. These relationships will be ‘key in analysing the business and IT and will provide the information that the CIO seeks. This communication and relationship building cycle has to take precedent as the CIO casts a wide ‘networking’ net across the organisation. Talk to senior executives’, gatekeepers, junior staff and all the people who use IT to do their everyday jobs. These are the people who will inform you where IT is delivering value, where business fails and how to strike the right balance. Always follow your instincts and look for ideas to nurture. Encourage innovation and ask your team to set aside at least 10-20% of their time for projects that they want to do (during business hours). Google and 3M have done this very successfully and if they can do it, so can you. Look for opportunities while constantly analysing every aspect of IT and your team, looking for improvements. Be visionary and ensure that you present a vision to your team that is representative of where the business wants to be or is heading towards. Create a culture of change and nurture the ‘right’ talent within your team and if hiring externally ensure that ‘action oriented employees’ are selected. To ensure that the above actually happens and that the IT systems are actually working towards creating value for the business and are delivering the business vision with assistance from the IT systems. Why a CIO is important in an organisation?